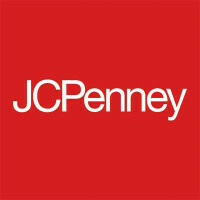 J.C. Penney is a chain of department stores that sell clothing, electronics, appliances, and other conventional merchandise. They also house leased departments such as portrait studios, salons, jewelry repair, and optical centers. The business started as a chain of stores owned by James Cash Penney. It was later incorporated as J. C. Penney Company in 1913. From then, the company was able to multiply its stores across the states. The company has over 1000 locations in the United States and Puerto Rico. It employs more than 100,000 associates. Most of the company’s stores are located in shopping malls. Employees of the company are eligible to employee assistance programs, product discounts, health coverage, and purchase plans. They can also avail of the 401k plan with company match offered by the business. Employees also enjoy paid sick days and time off. They are provided with programs to improve their skills and knowledge such as diversity programs, apprenticeship programs, and several other trainings. How old do you have to be to work at J. C. Penny? The minimum age required to work at the company’s stores is 16 years old. However, many in-store positions are given to 18-year old candidates and older. In-store job positions may vary per store. Some stores house more departments than the others. Most stores, however, have the following key employees: sales associate, custodial associate, merchandise supervisor, associate support department supervisor, hairstylist, salon manager, operations supervisor, supply chain supervisor, major appliance customer care, and transportation senior specialist. Sales Associate: a sales associate seeks out customers and ensures that they are satisfied with their shopping experience. He always makes himself available to help customers and his co-workers when they need assistance. He also restocks the store and makes sure that all sizes and styles are displayed. Custodial Associate: a custodial associate maintains the condition of cleaning equipment. He ensures that stockrooms, salons, sales floor, and restrooms are clean and that waste materials are properly disposed. He also assists customers in finding the products they need. Lastly, he is always available to perform other duties assigned by his supervisor. Merchandise Supervisor: a merchandise supervisor welcomes customers with a positive attitude. He interacts with them and ensures that they experience great customer service. He also maintains appropriate stock levels and ensures that merchandise flows efficiently within the store. Furthermore, he always challenges himself and his team to reach their sales goals. Associate Support Department Supervisor: an associate support department supervisor prepares the day-to-day work schedule in the store. He ensures that sales associates follow an efficient schedule and that the store operates smoothly every day. He trains associates and ensures that their skills are well developed to meet the sales demands. Hairstylist: a hairstylist is a trained individual who provides professional styling services to his clients. He assists customers in choosing the length, styles, and colors that perfectly fit them. He also helps them understand the different products they can use for their hair and the other services they can avail of to better improve their appearance. Salon Manager: a salon manager ensures that the members of his team are capable of meeting customer demands. He sets expectations and takes the responsibility to lead the department. He also actively searches for new talents whom he believes have the potential to provide highly satisfactory service to customers. Operations Supervisor: an operations supervisor tours around the store to ensure that the store is organized. He sees to it that resources are being used efficiently and the day-to-day activities are well executed. He is always prepared to provide directions to his team when needed. Furthermore, he works with associate support supervisor to ensure that associates are appropriately scheduled. Supply Chain Supervisor: a supply chain supervisor is assigned to a specific functional area to lead his team members. He knows how to effectively communicate with his team and give orders when needed. Furthermore, he ensures that his area is maintained in accordance to the company’s safety standards. Lastly, he is always prepared to resolve any problem in his area. Major Appliance Customer Care: a major appliance customer care officer is accountable for attaining the department’s sales goals. He always prioritizes his customers and their needs. Also, he has the adequate knowledge about the appliances in his department. In addition to that, he always keeps himself available to entertain product inquiries and attend to customers’ purchase requests. Transportation Senior Specialist: a transportation senior specialist works closely with store support centers, warehouses, and distribution centers. He ensures that the products delivered into and out of the store are in accordance to delivery specifications. He also makes sure that products are delivered on-time and reports any delay to the upper management. You may go directly to the nearest J. C. Penny store in your location to check if any of the mentioned job positions is available. If you don’t have the time, you can apply online through the company’s careers website. Online applicants may search for a specific job position or store location through the site’s search bar. Once you find the job position you want to apply for, click the Apply Now button. You will need to create your personal profile in the site as part of the application process. It would best to prepare a valid email address before proceeding to the online application. The company’s website accepts online applicants with or without resume. There will be a section in the online application where you can send your resume. If you don’t have one, you can simply fill out the online application form. It may take days or weeks before you receive a call for an interview. The stores’ human resource usually conducts group interviews. Your past work experiences and knowledge about the company will help you stand out from the other interviewees. It is the top priority of the company to establish good relationships with its customers. So, you can expect the stores to always have a customer-friendly environment. Employees in the store are also trained to act professional at all times. In 2017, the company released its corporate social responsibility report to the public that highlighted the company’s five social and ethical achievements including the increase in its workforce diversity and the significant reduction in its waste. The company has always been renowned for its eco-friendly operations. It constantly makes effort to reduce waste and to conserve energy. In fact, it has more than 600 ENERGY STAR-certified buildings. Aside from its environmental efforts, the company has also helped other sectors of the community including the military and non-profit organization. It also has its own foundation that supports youth welfare and development. 1 How old do you have to be to work at J. C. Penny?